Those of you who are acquainted with my writing on this blog probably know that (a) I study mortality risks, and (b) I sometimes comment on how these risks change when the clocks spring forward and fall backward. This fall is no exception, as I have a piece in the venerable Costco Connection* making the case that maybe keeping Daylight Saving Time as is wouldn’t be the worst thing to happen to the world. (I could have made the case the other way, as the policy decision here is very unclear, which tends to favor the status quo). What does this mean for you? Well, starting Sunday it is going to be dark at 5 p.m. meaning that you are far more likely to get hit by a car at 5 p.m. next week than you are this week. When I say “far more likely,” our estimate is that the risk is about three times as high! Of course, you are also far less likely to get hit at 6 a.m. in the extremely unlikely event that you are out 6 a.m. But, notice, but January 1 the sun won’t rise until after 7 a.m., and if DST was permanent, that would be 8 a.m. Sunlight is the ultimate scarce resource. Here is our previous coverage. * The picture in the Costco piece is of me enjoying some daylight at Wrigley Field. Should Daylight Saving Time be eliminated? Of course not! More daylight means more daytime ball games. 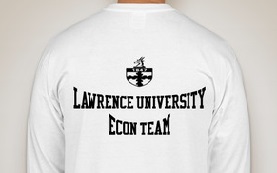 There are rumors of a fledgling Lawrence Economics Team. I am probably the wrong person to ask. Coach? So, what does a time change look like? Glad you asked: The figure from the sunshine authority, Gaisma.com, shows daylight patterns for our own Appleton, Wisconsin. Each day starts with midnight at the bottom and goes to the top, and the months go left to right. The blue line is the dawn and the red the dusk. 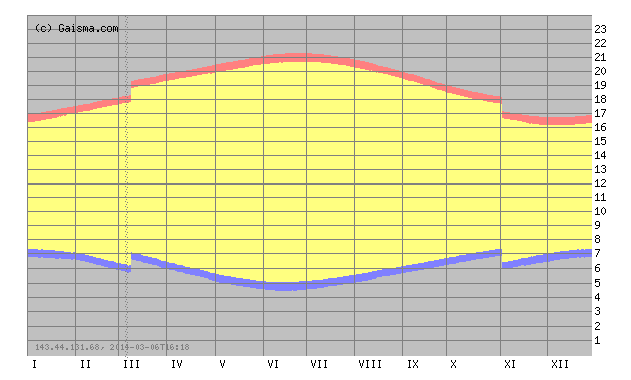 The switch to DST in March and the switch back to standard time in November are clear — they are the discontinuities (the “breaks”) in the sunrise and sunset curves. Because we “spring ahead” one hour, the sunrise time on Sunday morning will be one hour later than it was on Saturday. An early morning walk that was in that daylight on Saturday will be in the dark on Sunday. To have a sunrise at the same time as Saturday’s, we will have to wait until early April. The opposite happens in the evening. Sunset will be one hour later starting on Sunday. There will be less light in the morning, but more light in the evening. Light and visibility are extremely important determinants of traffic safety, particularly for pedestrians. Paul Fischbeck and I looked at data from 1999-2005 on fatalities and travel patterns, and determined that the morning risk increases about 30% per mile walked, while the afternoon risk falls close to 80%. 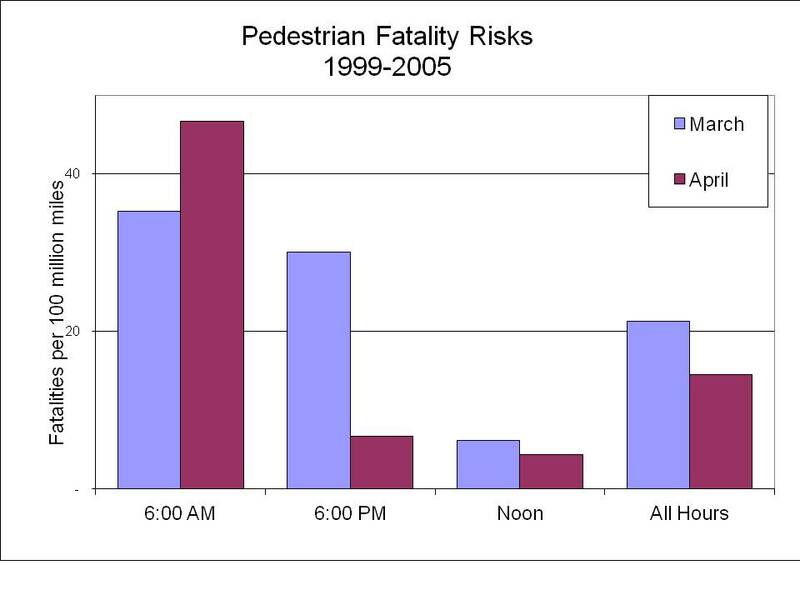 The figure below shows pedestrian fatality risks from 1999-2005. The blue and maroon bars show fatality risks per 100 million miles walked in March and April, respectively. Note that for the 6 a.m. time slot the risks increase about 30%, whereas for the 6 p.m. time slot the risks take a sharp nosedive. At midday the risks stay right about the same (we found no statistically significant difference in risks for that time period). Overall, total pedestrian fatalities decrease in the Spring both because risks fall more in the evening than they rise in the morning, and there are many more people out later in the day. These data are rather crude in the presentation, as they do not focus specifically on the days leading up to and immediately following the time shifts, which is how researchers typically isolate the effects of the time change. As students in my 300 class will soon learn, one of the bedrocks of consumer choice theory is that we take tastes as given. In a possibly related note, this house was just brought to my attention. One of our esteemed alums forwarded me the link to the eponymous “Which famous economist are you most similar to?” website, and yours truly — though I probably shouldn’t be telling you this — has landed atop Professor Greenstone, the University of Chicago energy economist and President Obama’s former Chief Economist for the Council of Economic Advisers. 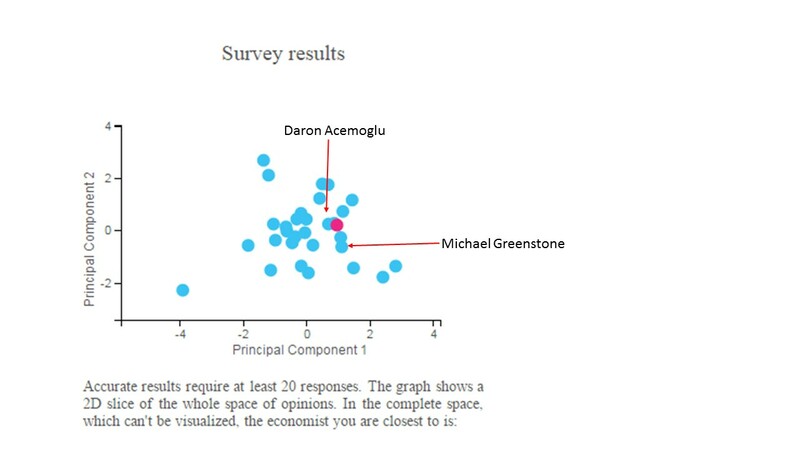 Though I landed near Professor Greenstone, I, pictured here as a red dot, was actually matched with Daron Acemoglu. Unfortunately, I couldn’t think of a good post title playing on the word “Daron”. Perhaps I should have been a little bit more…. adventurous? Tyler Vigen has opened up the world of spurious correlations like no other with his aptly titled website, Spurious Correlation. Whether it’s the remarkably tight relationship between US spending on science, space and technology with suicides by hanging, strangulation and suffocation or a more loosely related relationship between Stanley Cup goals and Suicide by Pesticide (I made that one up myself! ), Vigen is Johnny-on-the-Spot with fitting data for no greater purpose than amusement. 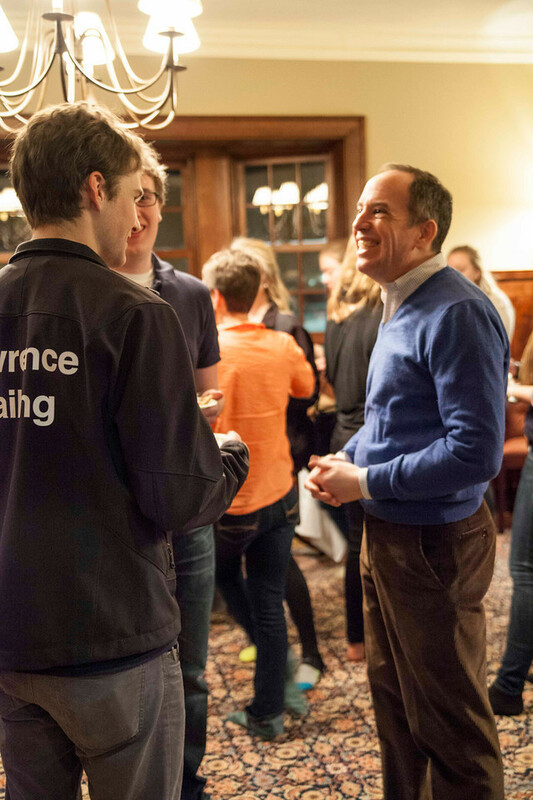 This past week President Burstein hosted a pizza gathering in anticipation of the annual 102-Day Senior Party. As the name indicates, the party marks only 102 days until Commencement for our out-going Seniors, assuming their Senior Experience papers get whipped into shape. Though I was not able to attend (invitation lost, perhaps? ), I see that the President’s gathering included some charter members of the Lawrence Curling Club, of which I am the faculty sponsor. Pictured is the president with some of our young curlers, who are no doubt explaining that “take out” is not pizza related, nor does “hog line” have to do with diners queuing for sausage pizza. 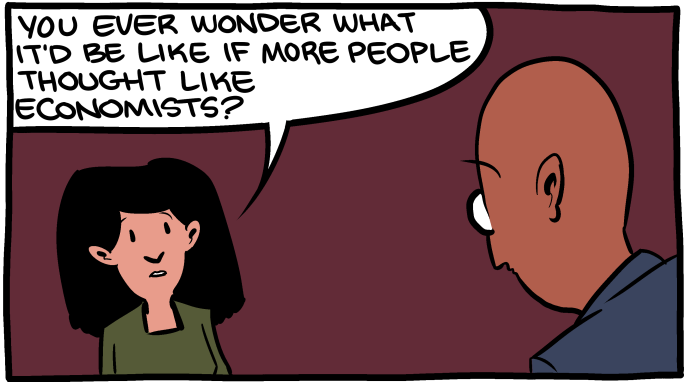 The Price of Economists Would Go Down? Those of you out-of-staters venturing into Wisconsin for the first time perhaps have noticed a few things — the verdant landscape, the ubiquitous beer-drinking establishments on and around College Avenue, people wearing green and mustard yellow clothing as if that were a normal thing to do, and, of course, the Wisconsin dairy culture (so to speak). Indeed, Wisconsin dairy farming is second to none (well, second to California, but California is really big) and the locals here embrace the cheese culture in ways that Californians could only dream. Firstly, of course, the locals actually call themselves cheeseheads, and will go so far to wear cheese-themed headwear. We also have something else the median Californian doesn’t see much of — winter. As you might expect, the cheeseheads are busy looking for innovative ways to defray the considerable costs of combating roadway snow and ice. And, as it turns out, they need look no farther than the cheese on top of their heads. Tiny Polk County, in the northwest part of the state, has been using cheese brine since 2009. According to the city report, Polk County saved approximately $40,000 in the first year by using cheese brine as a pre-wet agent to salt or a combination of salt/sand. It seems they spray the cheese on the ground as a primer and then dump the rock salt on top of that. Rock salt is more expensive than cheese brine (generally, I guess) so it seems to make sense. Except the cheese is kind of stinky, it seems. I really liked the writing in the story and the somewhat comical undertones (though my spell check doesn’t seem to recognize the word cheesemaking, it seems to flow quite naturally in the Journal-Sentinel prose). Perhaps the most interesting aspect is that cheese wasn’t the first choice — the city has been toying around with salt-brine, molasses, and beet juice as supplements to defray the cost of rock salt. Next time they’ll know better. It’s been a while since we updated the blog here, so let’s kick off the summer by getting back to the basics. First, the Food Lab grills us on our grilling knowledge. Do you think you should only flip your steak once? Perhaps you are cooking your steaks wrong. Wouldn’t surprise me. Next up, Radius Foundation director Terry Moore gets up at a TED conference and tells us we are tying our shoes wrong. Who knew? Finally, an oldie but goodie, Steven Landsburg wonders whether we are peeling our bananas from the wrong end. Bananas have been a ripe topic in both my Econ 300 course and Econ 100 courses. On the one hand, they are both delicious and nutritious. On the other hand, one of our “Economic Naturalists” wonders why they are such a scarce resource on Warch first. Who says a liberal education isn’t transformative? No, that’s not me introducing Professor Galambos at a recent Economics Colloquium; it’s George Lucas hashing out his initial vision of the Indiana Jones character with Steven Spielberg and Lawrence Kasden. In what has to be one of our greatest “Bedtime Reading” finds ever, behold this remarkable 90-page transcript of the “spitballing” sessions available online. The sessions are excerpted in a recent New Yorker piece. If you have ever wanted to see creative genius at work in all its fits-and-starts, here you go. Spielberg: I hate this, but go ahead. And, if you have 13 minutes and would like your mind completely blown, you might check this side-by-side out. We hope that you are enjoying your break and recharging your batteries for the final third of the 2012-13 academic year. Rest assured, we here on Briggs 2nd are making the necessary preparations for the academic homestretch. And we couldn’t be more excited, if not a little edgy. Movie icon Harrison Ford will reportedly return reprise his iconic role as intergalactic hero Han Solo in the upcoming Disney epic, Star Wars VII: A Sith in Time til Episode Nine. On the heels of Doug Allen’s visit, we pause to ask whether Mr. Ford be paid a fixed wage, or will instead demand a share of the revenues from the film and the merchandising? Perhaps we should consult Darlene Chisholm for some clues? Posted on February 19, 2013 February 19, 2013 Author David GerardCategories In Case You Were Wondering, Though You Probably Weren'tTags Contracts, nature of the farm, Risk Bearing1 Comment on Han Solo, Sharecropper? Would you rather fight 100 duck-sized horses or one horse-sized duck? That was a question that was posed to President Obama (he declined to answer) that I read about at the Kottke blog. And, as per usual, Mr. Kottke has way more on the topic than we could reasonably hope to expect. Oh, Santa, how did you know?! It’s that time of year where we bid you Happy Holidays from the Economics profession. Up first, we have a truly heroic figure, Joel Waldfogel, author of Scroogeonomics. * I don’t know your preferences as well as you do, so whatever I give you is probably sub-optimal, unless you tell me exactly what you want. And even then, wouldn’t you rather just have the cash anyway? For those of you intermediate micro students, you know that kids prefer cash over any in-kind equivalent. In this whole world, there is nobody more generous than the miser–the man who could deplete the world’s resources but chooses not to. The only difference between miserliness and philanthropy is that the philanthropist serves a favored few while the miser spreads his largess far and wide. If you build a house and refuse to buy a house, the rest of the world is one house richer. If you earn a dollar and refuse to spend a dollar, the rest of the world is one dollar richer–because you produced a dollar’s worth of goods and didn’t consume them. Ah, I just feel all warm and fuzzy inside. Buying for a guy? Get him a gadget. Buying for a girl? Get her something expensive and useless. The wastefulness of courtship is what makes it romantic. The wasteful dancing, the wasteful gift-giving, the wasteful conversation, the wasteful laughter, the wasteful foreplay, the wasteful adventures. From the viewpoint of “survival of the fittest” the waste looks mad and pointless and maladaptive… However, from the viewpoint of fitness indicator theory, this waste is the most efficient and reliable way to discover someone’s fitness. Where you see conspicuous waste in nature, sexual choice has often been at work. This presents something of a conundrum because “expensive and useless” seems to be at odds with Waldfogel’s hyper-utilitarian cold, hard cash suggestion. Last year I suggested that we could solve the puzzle by giving her Euro!, but it seems that the EU keeps plodding along. Perhaps a holiday shrub? * The book is a follow up to the classic, “The Deadweight Loss of Christmas.” Clearly, the book title Scroogonomics can be chalked up to the value-added of the publishing house. **Conceptually, that is. I generally get ties and socks. The chips are made *where*? Welcome to winter break. One of the great things about returning home is that your family and friends can share not only in the new, colorful personal habits that you’ve picked up on campus, but also in the fruits of the valuable analytic skills that you have developed here at Lawrence. And what better way to get that conversation jump started than to break down which Bond villains had plans that actually made economic sense? Ah, pity Zorin didn’t commission a five-forces analysis. Via the Cheap Talk blog. UPDATE: Tyler Cowen has weighed in. The Chronicle of Higher Education reports that the state has decided to crack down on free education, notifying California-based startup Coursera that it is not allowed to offer its online courses to the state’s residents. Alert reader “Mr. C” alerted me to this as an example of “rent seeking,” whereby the purveyor of market power erects a barrier to entry as a means to maintain its preferred status. I wouldn’t really call this rent seeking in the conventional sense, as the state itself is simply kicking online providers in the teeth. The state itself runs several non-online operations. It would be rent seeking if one of the many fine private institutions went to the state to enforce the policy. As for the policy itself, Slate online has a comical clarification. It later was clarified that online education was okay, but the provider had to register with the state, and have its registration renewed annually. So, what is the rationale for this? The law’s intent is to protect Minnesota students from wasting their money on degrees from substandard institutions, Roedler says. As such, he suspects that Coursera’s partner institutions would have little trouble obtaining the registration. He says he had hoped to work with Coursera to achieve that, and was surprised when they responded with the terms-of-service change notifying Minnesota residents of the law. So the state is in the business of protecting its citizenry from wasting its time. The end must be nigh. [Bull announced] that if inappropriate behavior were to continue, the lights would stay on, the chicken dance song would be played for the rest of the night, and/or the dance would be canceled. The grim trigger is a strategy in a non-cooperative game, where one party threatens to end cooperation forever if the other party fails to cooperate. Evidently, it was a credible threat. Perhaps this helps to explain why. Some of you are aware that the summer Olympics have been taking place over the past few weeks, with athletes all around the world convening in London to kick each other, swim and dive in perfect synchronicity, throw balls into nets, and perform other feats of strength. As a way of monitoring each country’s progress, it is customary for the IOC and the media to keep a tally of how many medals each country has accumulated and then talking about it as if it had some great import. This year the United States amassed a whopping 104 total medals, with the People’s Republic of China coming in a distant second with 88 and Great Britain with a mere 65. That metric never seemed quite right to me, though, because many events seem kind of like made up sports, and others involve teams, yet the team victory seems to just count as one medal. Those issues aside, there is also the more fundamental issue that a country like, say, Grenada doesn’t have very many people in it. Indeed, it might be the case that the Chinese sent more athletes to London than the entire population of Grenada combined. Yet, Grenada and China are set on equal footing in the ubiquitous Medal Count competition. That’s why we’re fortunate to have Medals Per Capita dot Com keeping it real for us. The site does what you’d expect, adjusting the medals count based on population to produce the coveted “population per medals” metric. And, on that score, the rankings change dramatically. Indeed, tiny Grenada, with only 110,821 people, leads the way with one medal and a population per medal score of 110,821. This bests second-place Jamacia’s score of 225,485 by a lot. But Jamacia did come in with an astonishing 12 medals despite having a population slightly larger than the Pittsburgh metro area. Trinidad and Tobago and the Bahamas are also among the top five. I should also mention — before somebody does it for me — that Hungary is an impressive 8th with 17 medals for a population of 10 million, which is about one medal per 600,000 inhabitants. 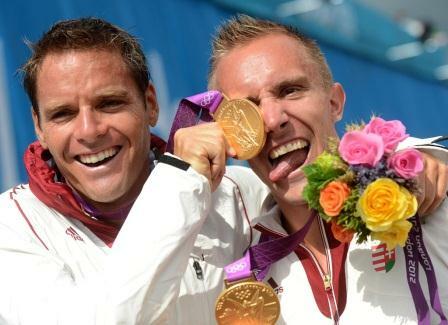 What about the “medals count winners”? Well, the mighty US with its 104 medals is only about one medal per three million people, good for a measly 49th place, while China is way down in 74th on a per capita basis, with only a medal per 15 million people. So, to put things in perspective, a simple linear extrapolation suggests that if Grenada had China’s population, it would have amassed more than 12,000 medals. In contrast, with 84 medals per 1.3 billion people, if China had Grenada’s population, it would have netted only 0.0068 medals. On the one hand, this illustrates why it is probably a good idea not to put too much stock in linear extrapolations, but on the other hand, these types of comparisons are important, as any sort of comparative analysis needs to have some reasonable baseline or measure of perspective. The Medals per Capita dot Com page has a whole menu of metrics for you to play with, so with the fall term at least a week away, go ahead and start playing.